Factors such as income, education level, socioeconomic status and living in rural or deprived communities can all increase the social isolation of older people. The experience of loneliness and social isolation is also often associated with loss. As people age, loss becomes incremental – loss of partner, health status, life role. 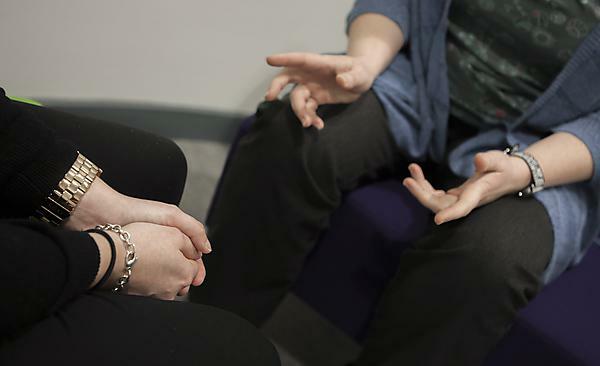 The implications of loneliness and social isolation for social work practice are particularly prevalent in the area of adult safeguarding, where practitioners may work with vulnerable adults who are self-neglecting, or who are victims of financial abuse. Additional research is needed to determine the complex range of factors that result in self-neglect, but a study by Spensley (2008) found links with social isolation, as well as a correlation to substance misuse. A surprising finding in this study was a weak link between mental ill-health (specifically depression) and self-neglect. For social workers, self-neglect is a safeguarding concern that presents ethical and social challenges. In some cases, a person may self-neglect as a life choice, while in others, an older person may have started to deteriorate after the loss of a partner. The key here is to utilise preventative social work and identify ways to engage people, build relationships and work incrementally to provide support where needed. Financial abuse is found to be the most prevalent form of elder abuse, after neglect. As people become older and more socially isolated, they can become increasingly reliant on family members, and financial issues sometimes become contentious. Research indicates that financial abuse is most commonly perpetrated by a family member, usually an adult son or daughter (see Wendt et al, 2015). Threats of abandonment and isolation can also leave people fearful of withholding financial aid to family members. However, a rise in financial scams perpetrated by strangers is also an emerging concern, which requires attention from practitioners, researchers, and policy makers. A recent study (Burnes et al.,2017) reported that the financial exploitation of older adults is associated with increased risk of mortality, decline in health, and diminished life satisfaction. Older people who are isolated and have limited social support are also disproportionately targeted in these schemes, which are designed to exploit age-related vulnerabilities. Social workers have a role to play in identifying people who may be at risk of victimisation from economic exploitation. The extent of the problem is not yet clear, but proactive policy development, prevention and response are crucial to address the knowledge gap and to reduce fraud and scam abuses. When considering the most effective interventions for addressing loneliness and social isolation, there are contradictory research findings. Some studies suggest that older people who are socially isolated prefer to connect with others of the same generation and sociocultural background, or who have similar interests (see Cattan et al., 2005). However, according to Age UK, intergenerational contact can be effective in combating isolation, which emphasises the importance of keeping families connected if possible. For social work interventions in particular, group work that targets people with a shared concern, for example parenting or postnatal depression, has been found to be effective in alleviating and preventing social isolation. Research by Syed Elias et al. (2015) highlighted the benefits of using group reminiscence work – a type of therapy where participants share personal past events with one another. The research found that people who took part in this intervention had increased social contact, formed new friendships and felt more valued. Social work also potentially brings an ecological and systems perspective to the interaction between people and their environment, which is critical to understanding the management of the human need for social connection. Social connection is part of being human – we all depend on one another for comfort, care and survival. Furthermore, the profession’s links to housing, transportation, and community resources, make it acutely aware of the need for support, and social workers therefore have the potential to make a difference to the lives of people experiencing loneliness and isolation. The challenge going forward is to keep abreast of the factors that predict wellbeing, and to provide intervention that strives to take account of the significant impact of these issues.